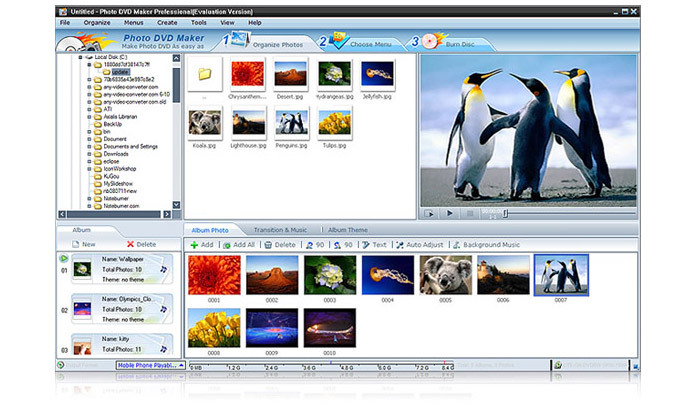 Photo DVD Slideshow Maker - Intuitive photo slideshow and DVD slideshow software. Photo DVD Maker can easily turns your memorial photos into vivid DVD/Blu-ray slideshow which you can watch on TV with DVD/Blu-ray player, as well as create HD video slideshow which are playalbe on iPad, iPhone, Android phones and tablets. 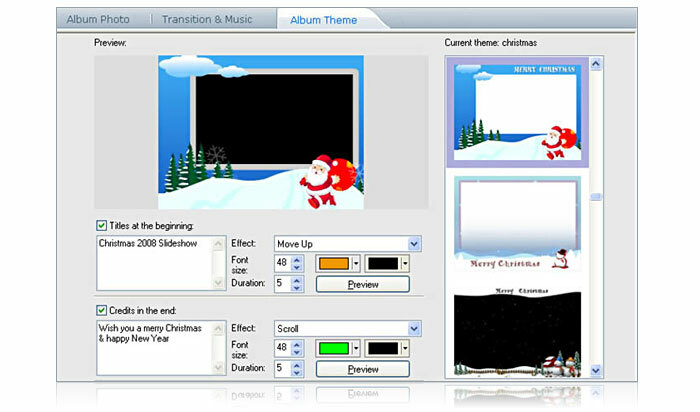 Photo DVD Maker comes with abundant transition effects, themes and DVD menus, allows you to add background music or sound narration. It's perfect for sharing your memories with your family and friends. You can use JPEG, TIFF, BMP and PNG images to create video slideshow or DVD slideshow. Normal videos, camcorder vidoes as well as can also be added to the slideshow as standalone album. A built-in file explorer helps you to easily browse and find your photos and videos on hard drive. 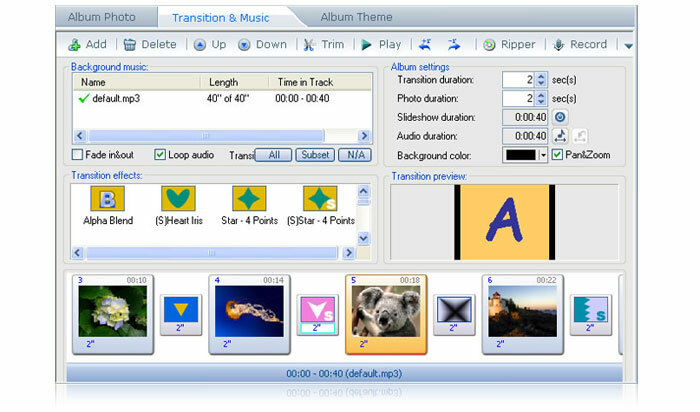 Photo DVD Maker has built-in art clips ready to use. Or add your favorite images as art clip. Add text on photos as subtitle or caption and tell your stories or expression about the photos. Macros text is also available and you can choose and customize font styles. This application allows you to add MP3, WMA and WAVE formats as background music. You can also extract sound track from an audio CD or add sound narration from microphone input. Audio trimming is available. And you can easily and perfectly match music duration with your slideshow. More than 300 transition effects, 70 album themes and 90 DVD menus are ready-to-use. So you can perfectly create a photo slideshow for different sceneries and occasions as well as for diffferent people. Customize your DVD menu and playback actions, add opening credits and closing credits just like movies. Photo DVD Maker can burn the slideshow to DVD, AVCHD DVD, Blu-ray Disc, VCD 2.0 (Still image) or SVCD for both NTSC and PAL TV systems. Photo DVD Maker can also export slideshow to 720P & 1080P HD videos, generate video slideshow in commom video formats such as FLV, MPEG-1, MPEG-2, MP4, AVI to meet different requirements. In addition to VCD, DVD and Blu-ray players, you can also enjoy HD video slideshows on iPad, iPhone, Archos, Creative Zen, Samsung Galaxy, Motorola Xoom and more android phones and tablets. 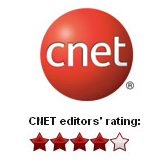 Video options like vidoe bitrate, video size and frame rate etc. and audio options like audio bitrate are customizable. Or you can also send a slideshow DVD to your parents or kids as gift. Trial Limitation 1. Only 36 photos can be used to create a photo slideshow. 2. Watermark will be added to output slideshow. Video MPEG, MP4, AVI, DivX AVI, WMV, VOB, MOV, FLV, RM/RMVB, ASF, etc.